Supporters and naysayers aside though, it felt like I was taking a huge leap of faith. In the weeks prior to my departure, the fear that I might be making a mistake began to sink in, even though I had made a conscious decision that I felt was strongly based in logic. In the end, I decided that the endeavor would not only be beneficial for my career in international development, but also for my psyche- and I was right. Getting a TEFL/TESOL certificate is the number one qualification for teaching English around the globe. It is basically a universal certification that qualifies you to teach English professionally. It also doesn’t require any previous education, so it is the perfect tool for people eager to travel-full time and work. I received my TEFL certification in Cusco, Peru through a company called Maximo Nivel. After I finished one-month and 130 hours of in-person training, Maximo hired me on as a full-time teacher. I chose an in-person course vs. the various online certification options after doing extensive research on qualifications that companies and schools look for in prospective teachers. I’m glad I did, because the practical classroom experience during the course really prepared me to step into the role of teacher when the time came. I highly recommend Maximo Nivel, because they offer comprehensive training programs with experienced staff, and a lot of support when it comes to other living needs (e.g. finding an apartment, jobs, etc). They also offer Spanish classes, volunteer programs, and free salsa lessons! After moving to Peru to get TEFL certified and teaching English for the better part of a year, I feel like I have a clear perspective of the benefits of my decision. Job security. Teaching English is a position that is open to anyone who is a Native English speaker. Therefore it doesn’t require previous work experience or a fancy degree, although both can help (depending on the region of the world you’re working in). This means you are guaranteed a job somewhere in the world, in a time when the harsh reality of the state of the economy in many Western countries has limited available job opportunities. This can also be especially beneficial when you’re trying to get your foot in the door in the development field. Travel opportunities. You get to travel to any part of the world, learn a new language and culture, all while funding your trip as you go. You may not make a fortune while doing it (with the exceptions of Asia and the Middle East, where you can make from $45,000 to $60,000 USD/year) but you can certainly support yourself financially and even save a little if you budget properly. You will also have plenty of opportunities to travel on weekends and breaks to nearby places. Plus, if you’re in South America you can take a bus almost anywhere for relatively cheap. Making new friends. You are guaranteed to meet several like-minded people when you teach English abroad. Your coworkers become your family, and hopefully friends that you will have for a lifetime. Not to mention, you’re constantly meeting locals who are eager to hang out and learn English while they teach you their language. Either way, you’re branching out and meeting people with different backgrounds and stories that can add new experiences to your life. Plus, you’ll always have people to visit and places to stay all over the world. Discovering yourself. There is something about living abroad — being so far from the familiarities and comforts of home — that really helps you discover your hidden talents and strengths. You will come to know how much you are capable of. You will also be consistently surprised by how easy it is to adapt to a new lifestyle. This new life might include: eating new foods, becoming accustomed to different cultural norms or learning how to cope with stress away from your support system. Somewhere along the way, you realize the opportunity that the lack of “modern conveniences” brings you. Without all the hustle of the city life, I’ve been able to become more in tune with nature and the world around me, I’ve had more time for reading, and I’ve become more social (not just on social media websites). Gaining Experience. Living abroad is a wonderful way to build up your resume and obtain valuable work experience for a variety of different fields. It can show employers that you are adaptable, flexible, independent, and knowledgeable, and that you are also worldly. It will also allow you to have countless personal growth opportunities that will benefit you for the rest of your life. I’ve never heard a person say that they regretted traveling. Nor have I encountered anyone who was unable to find work after teaching English abroad. If nothing else, you will always have a practical skill to fall back on. 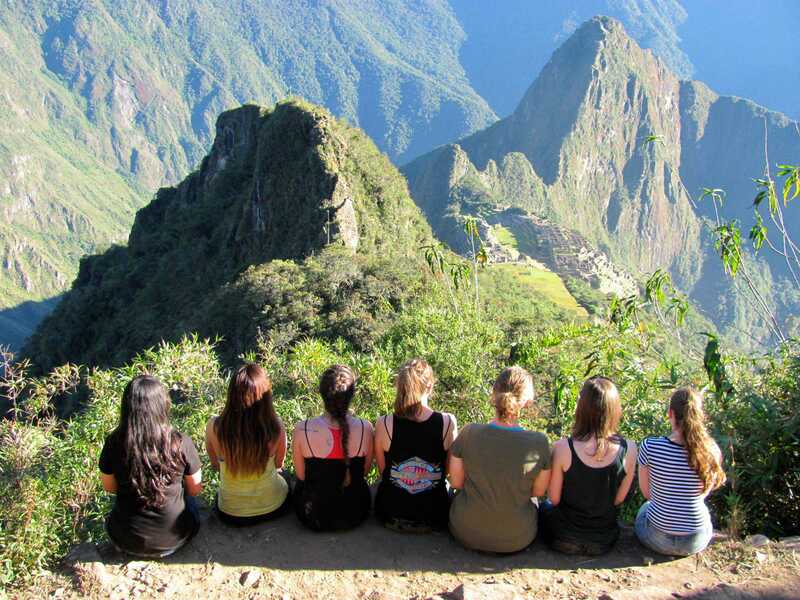 Moving to Cusco to teach English afforded me so many life-changing opportunities. My Spanish improved, I made several wonderful new friends, I learned how to Salsa, cook new dishes, cope with a language barrier and culture shock, and how to overcome many other obstacles. I was able to travel to several towns in Peru and even Bolivia, Chile and Argentina, and I gained valuable work experience (without having to conform to a 9 to 5 desk job). I grew in many ways, and I owe it all to globalization and the growing market for learning English as a second language.